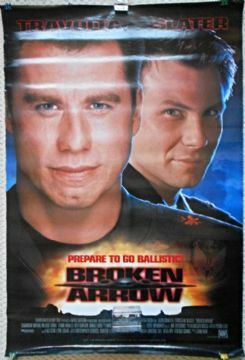 Original 1996 1sh film poster from the film 'Broken Arrow' starring John Travolta and Christian Slater. This Double Sided poster is in VG-Fine condition and measures 27" x 40". The film poster has some light edge wear which wouldn't be noticeable if framed.